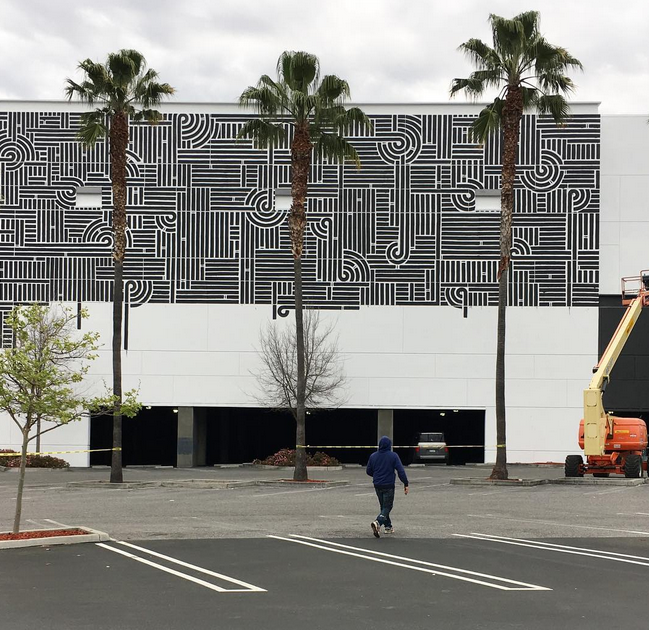 Pacific Retail Capital Partners has completed the world’s largest collection of outdoor murals on a shopping center, and the only public art project of its kind at Eastridge, in San Jose, California. 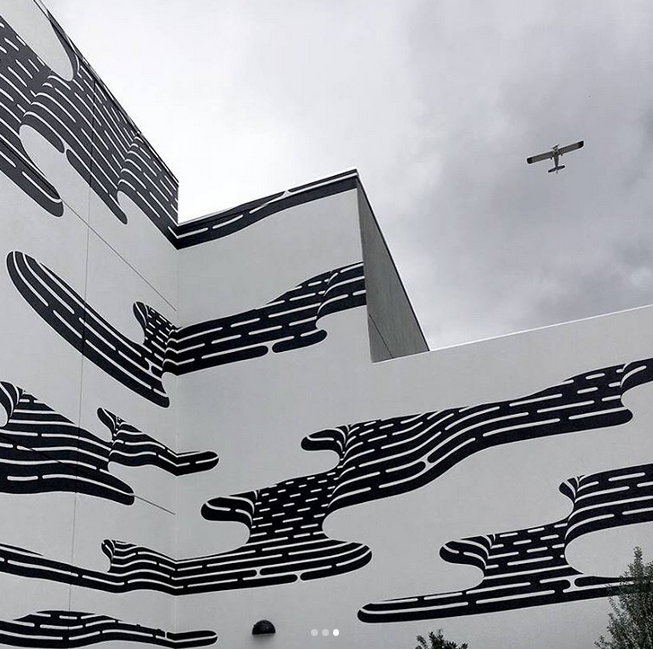 The 20,000 square feet of murals features four carefully curated California artists – CYRCLE, Brendan Monroe, Lila Gemellos and Aaron De La Cruz. 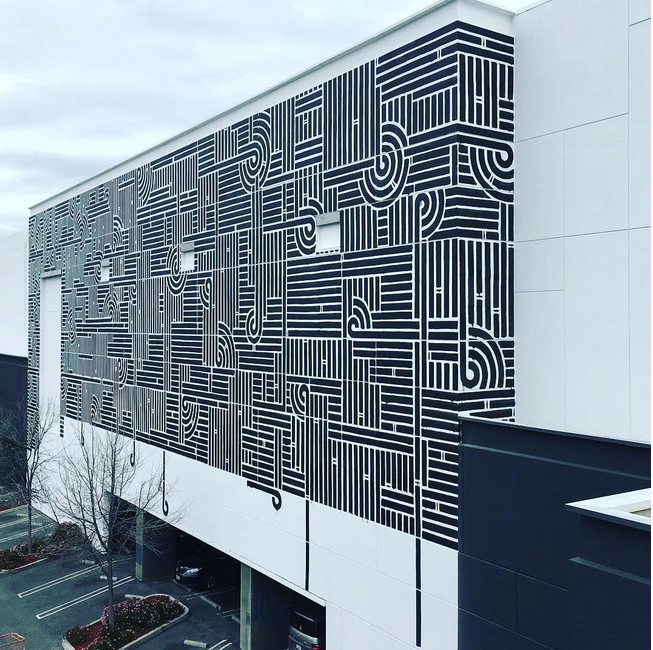 Gensler, a global architectural, design and planning firm, came up with the concept to reimagine previously blank exterior brick, stucco and tiled walls around the center with the expansive murals as well as nearly 16,000 square feet of super graphics to transform more than 36,000 square feet of Eastridge’s exteriors facade. “Most enclosed malls are the ultimate expression of the blank wall,” says Annmarie Brintnall, Retail Centers Practice Area Leader and Principal at Gensler. 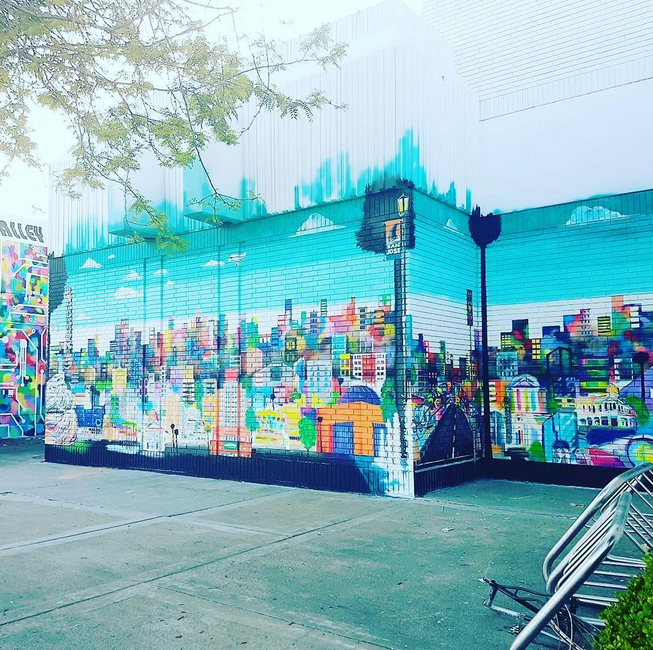 “The idea was to transform the lifeless façades of Eastridge into a celebrated collection of public art for everyone in the community to enjoy”. 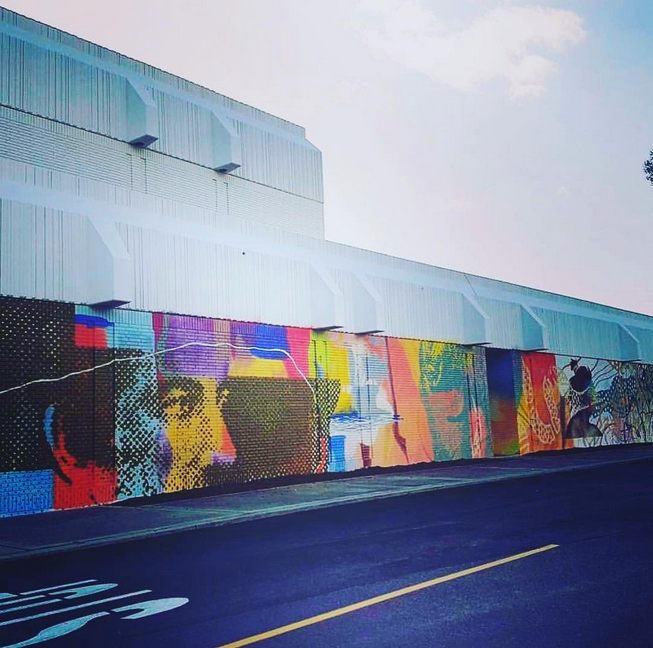 All four muralists are California based, an important component when creating an art installation designed to reflect and celebrate the best of San Jose. 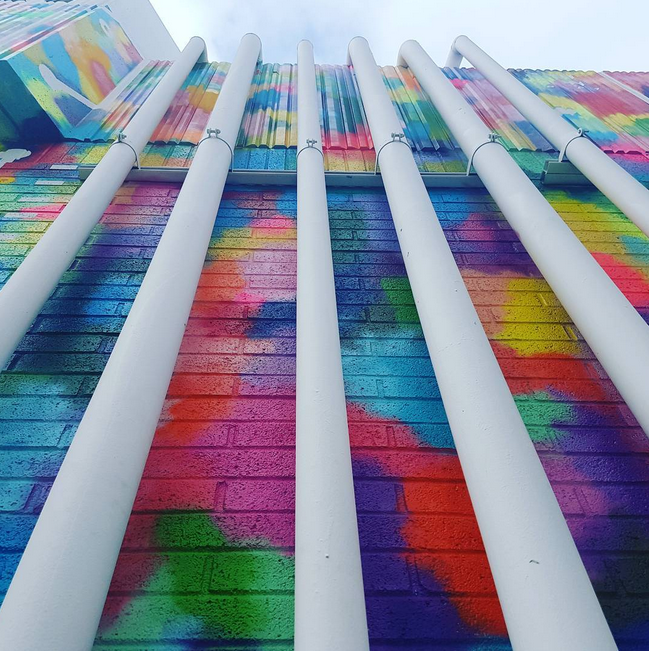 Their work ranges from the geometric and colorful, to creative story telling, and has attracted positive attention from the community while adding vibrancy and excitement to a previously uninteresting façade. Brendan Monroe was born in Santa Barbara and studied at Art Center in Pasadena. A sculptor and painter, Brendan's work is available in California, at Galerie L.J. in Paris, and has been exhibited in Asia, Europe and North America. “Brendan used brushes for his piece at Eastridge Center to create something very distinct, black and white, with an almost techy feel,” Kayyem explained. The groundbreaking murals are part of a major redevelopment occurring at Eastridge including interior and exterior design, new exterior entrance enhancements – including the additional 16,000 square feet of super graphics through Gensler – installation of a 30-foot interior digital wall, the four large-scale exterior artist murals and other community-centric art projects that pay homage to the best of San Jose. Later this spring, local children will be invited to create an imaginative art installation of hand painted tiles that will become part of the permanent redesign.